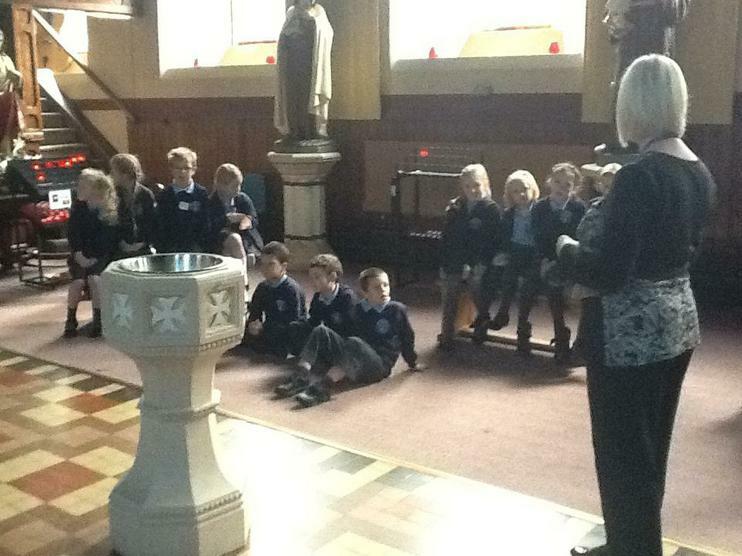 Our amazing Year 3 Crib for St John's Church. 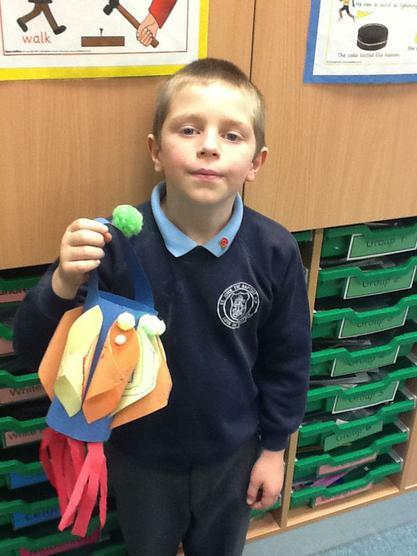 We painted baubles as the Nativity characters. 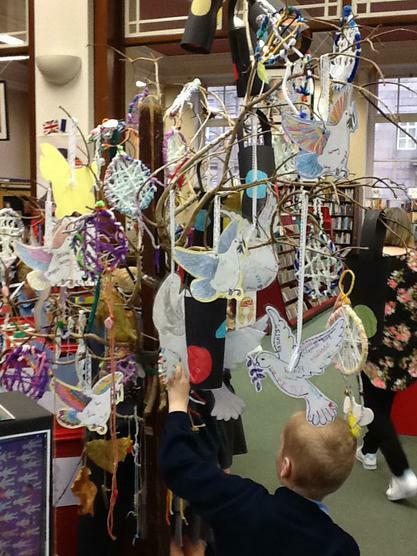 We were delighted to hang our Advent prayers onto the school Christmas tree. 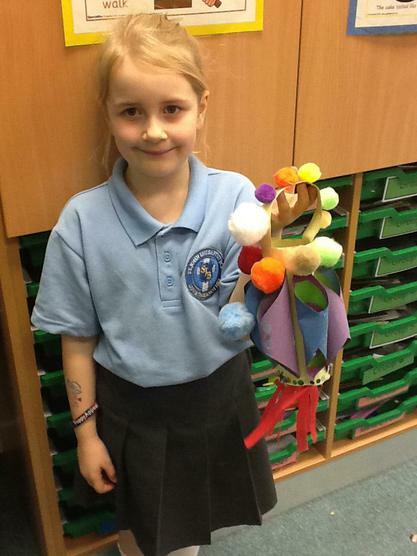 Year 3 created a beautiful Jesse Tree to mark the start of Advent. 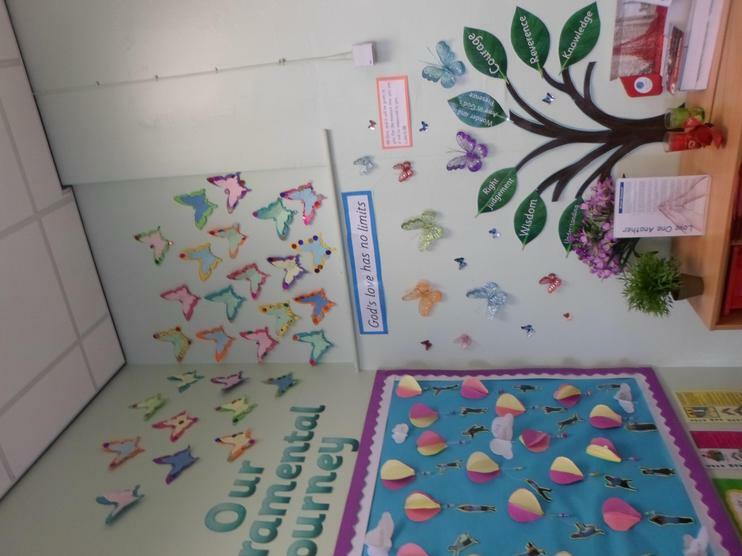 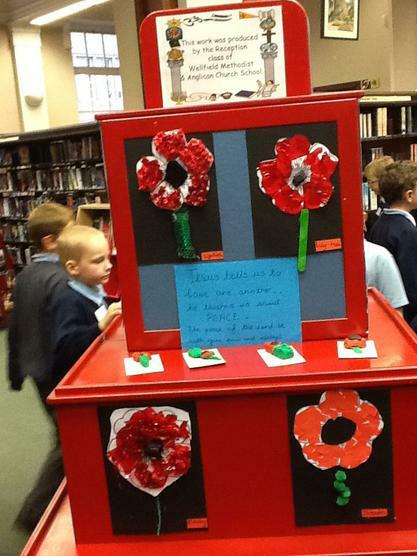 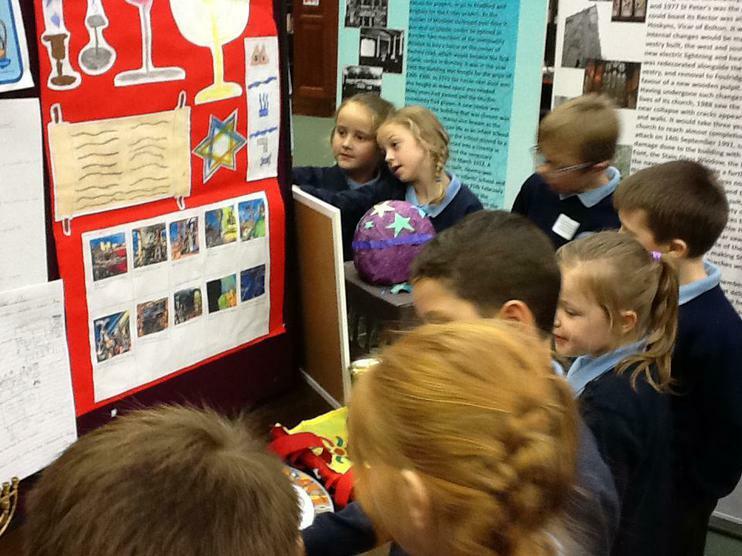 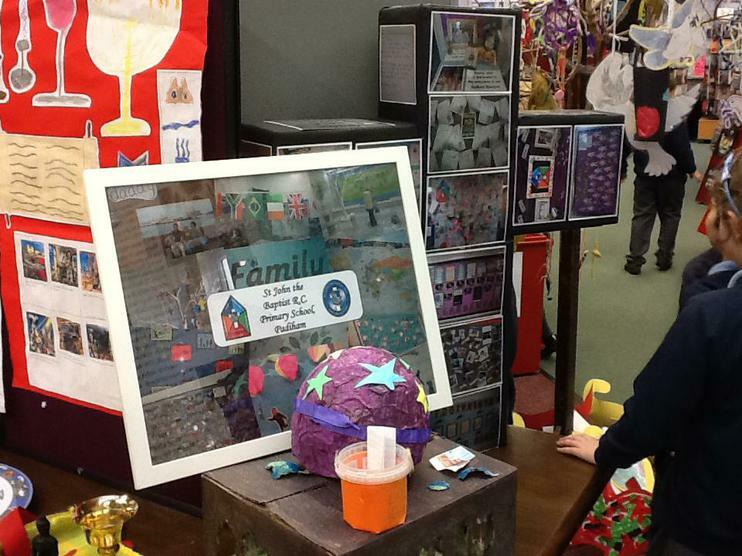 Years 3 and 4 enjoyed a trip to Burnley Library to learn about different faiths that have been taught at fellow schools which were presented in a beautiful display. 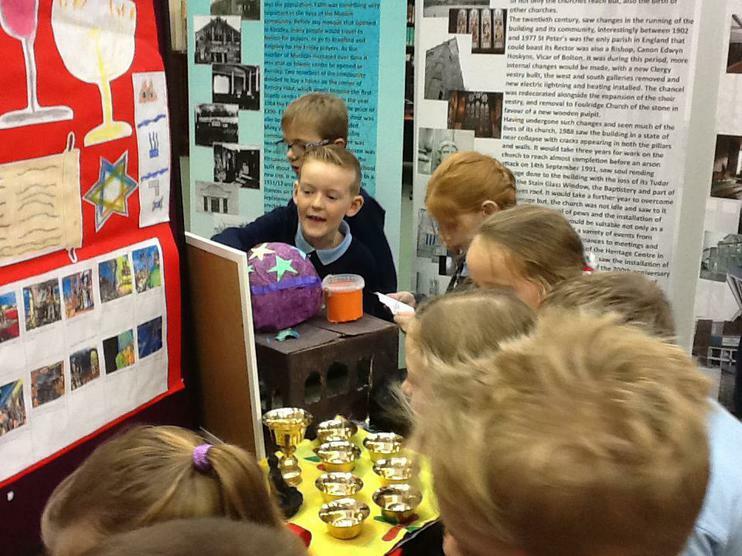 The children were pleased to see their own artwork on display too. 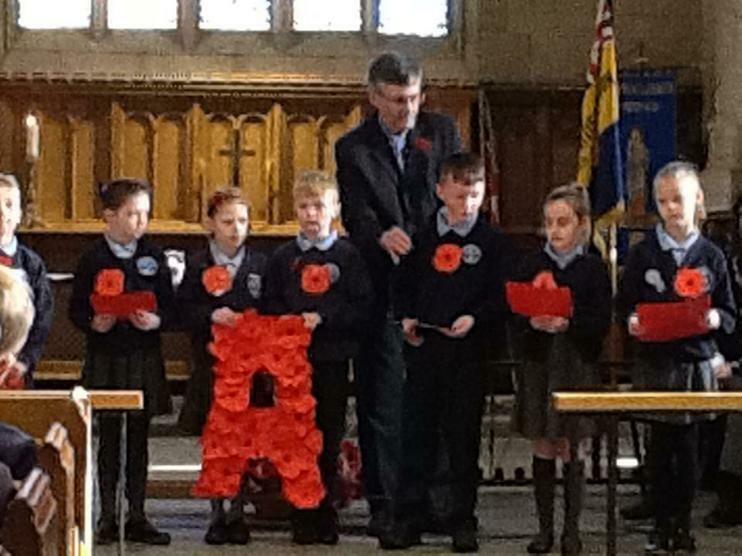 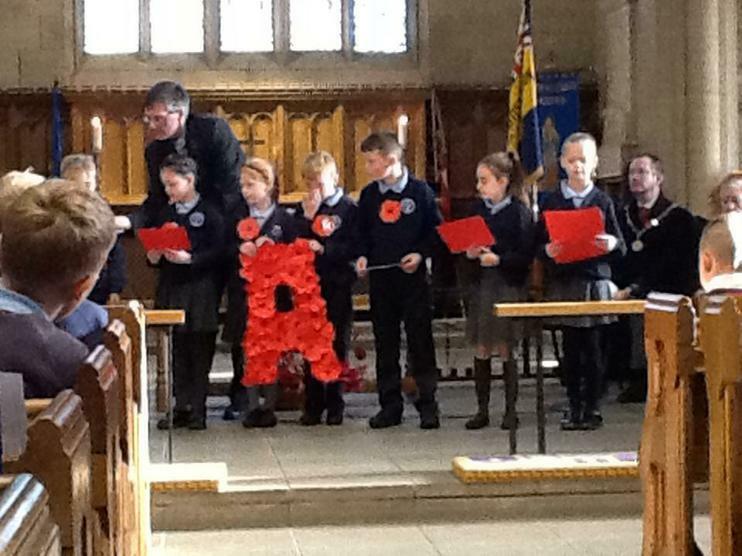 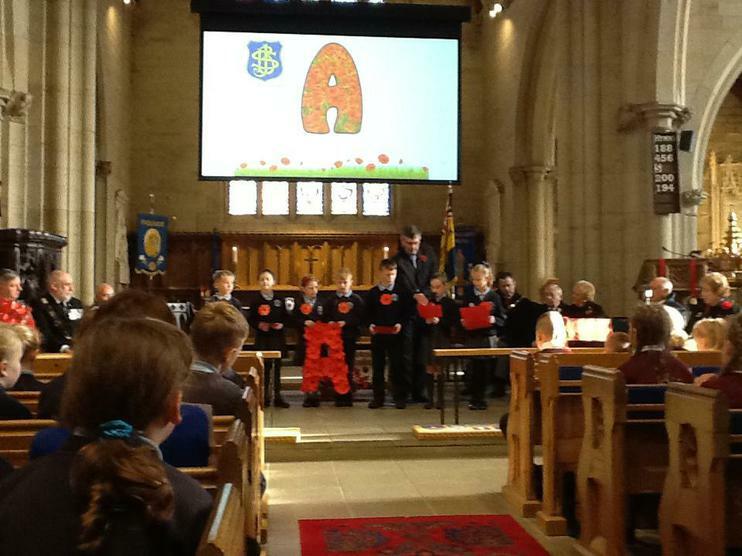 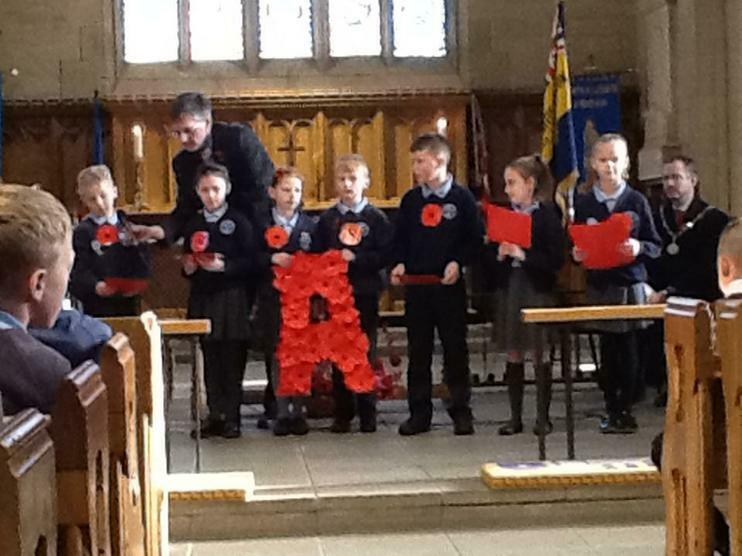 Years 3 and 5 were honored to take part in the Remembrance Service at St Leonards to remember all of the fallen soldiers and their families. 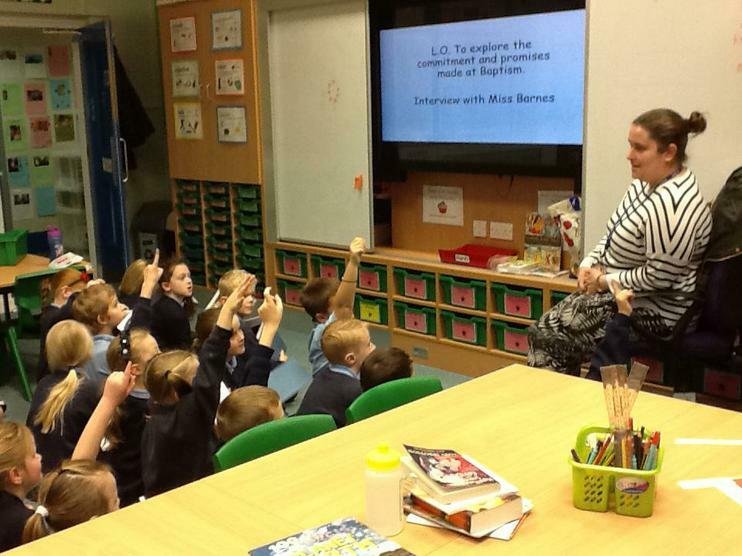 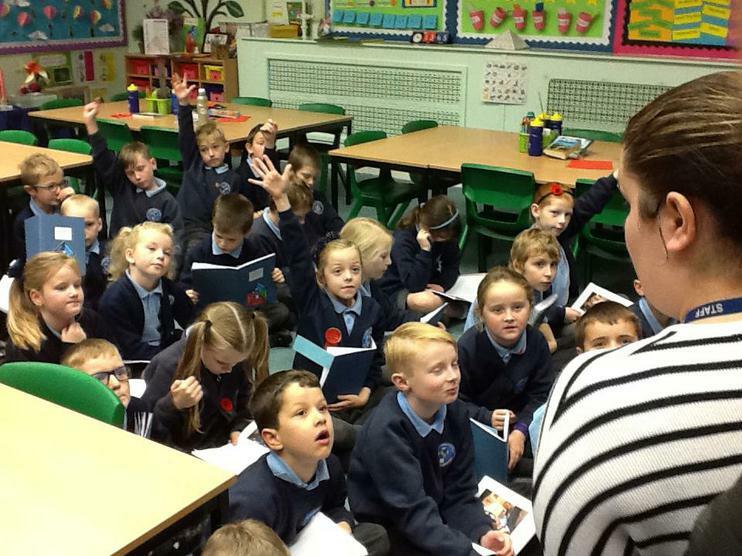 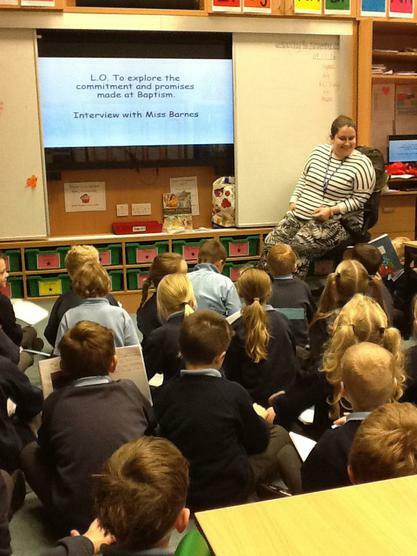 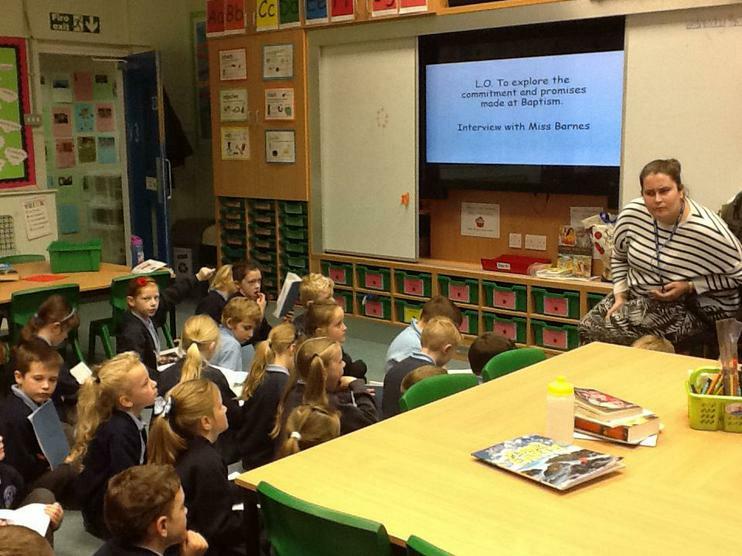 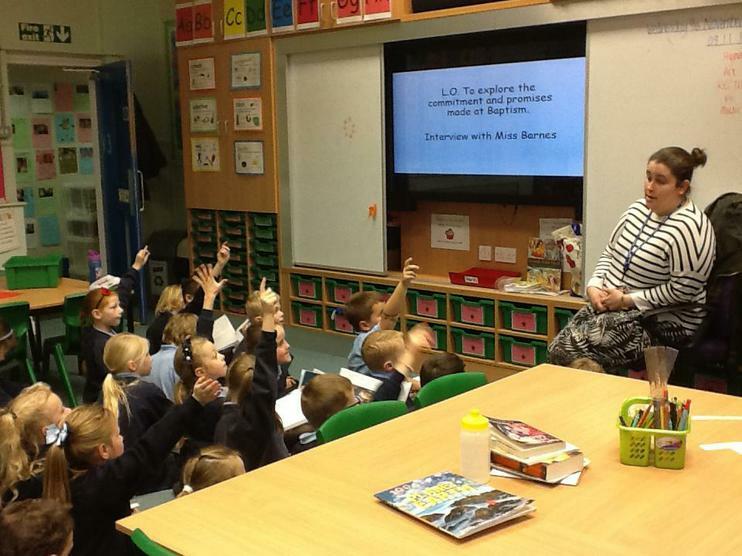 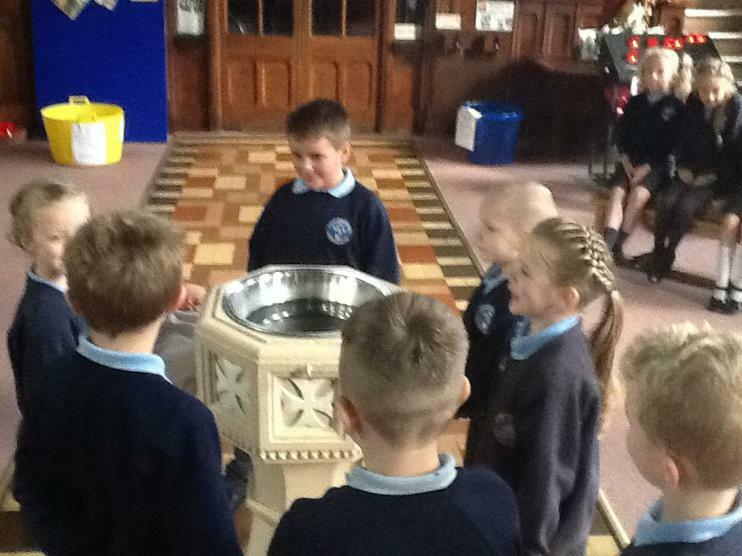 Year 3 were thrilled to interview Miss Barnes about how she is preparing for her son's Baptism. 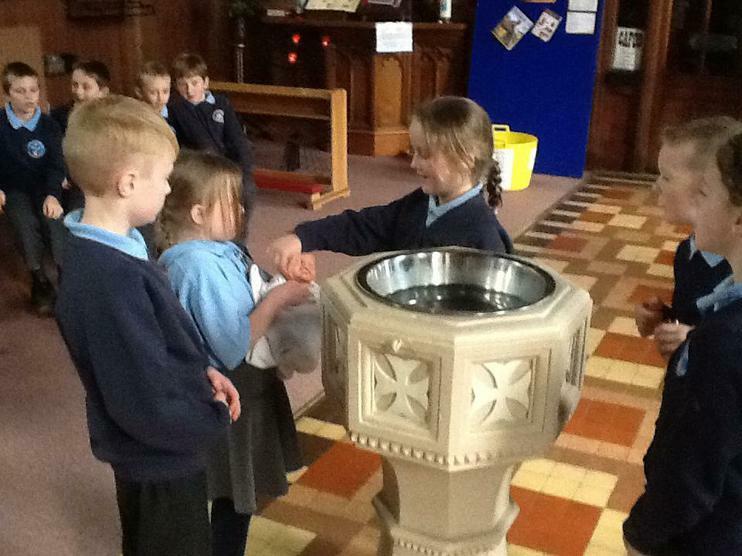 They learnt about the commitments that Miss Barnes and her son's soon to be Godparents will be making, and what Baptism means to her family. 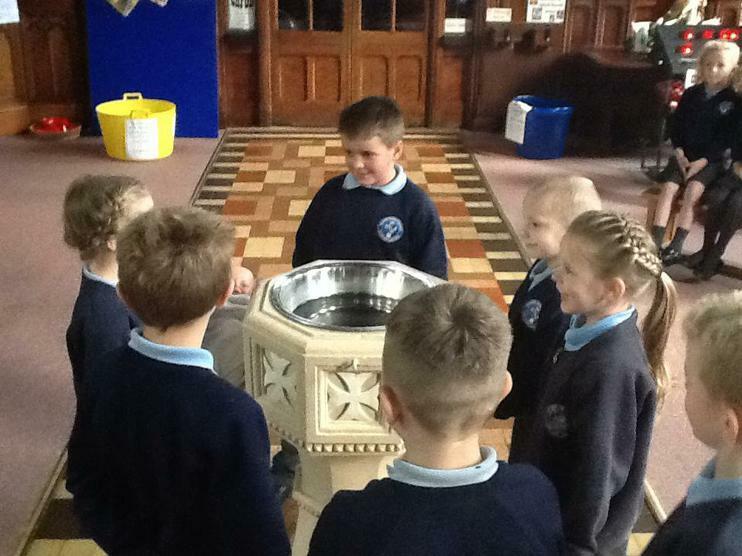 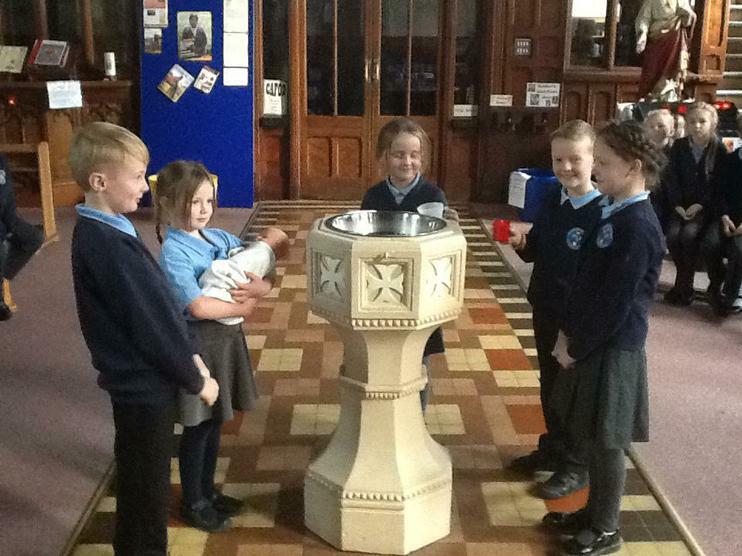 Year 3 were keen to visit our Parish, St John the Baptist Church, to see the Easter Candle and Font and learn about when and how they are used in Baptism. 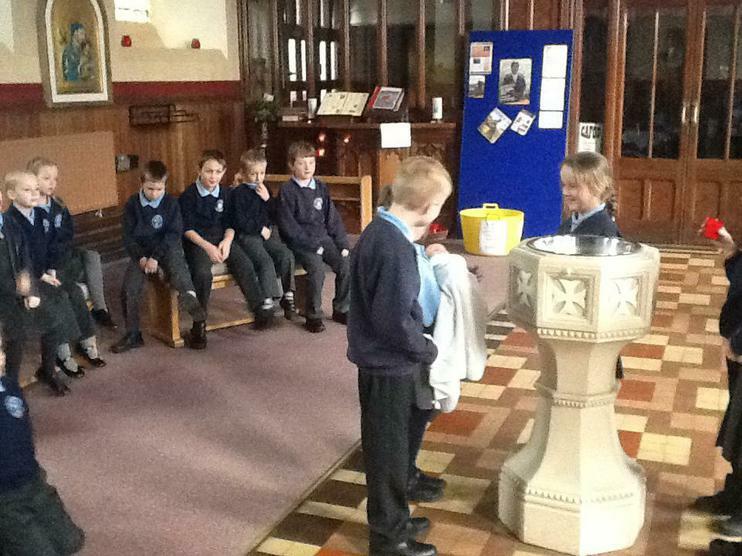 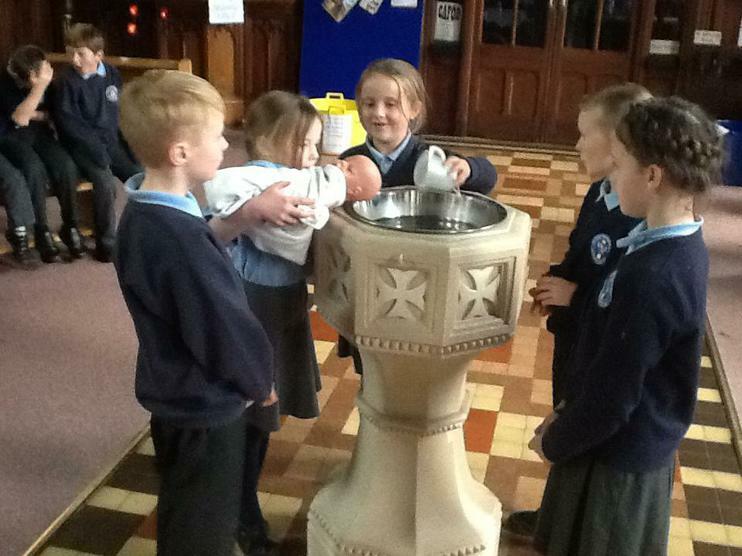 The children also brilliantly role played a Baptism using their new found knowledge. 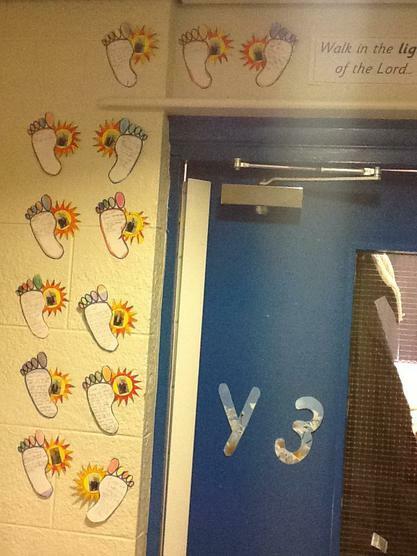 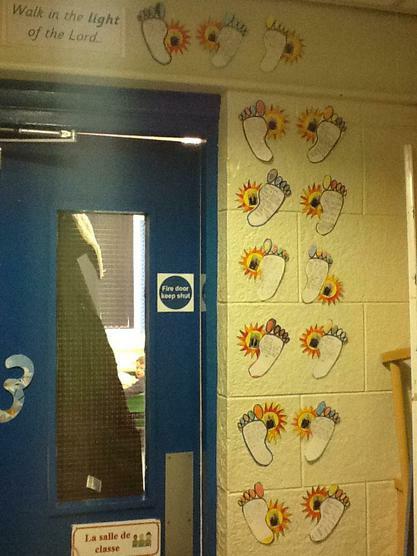 Year 3's new Year of Mercy door, 'Walk in the light of the Lord'. 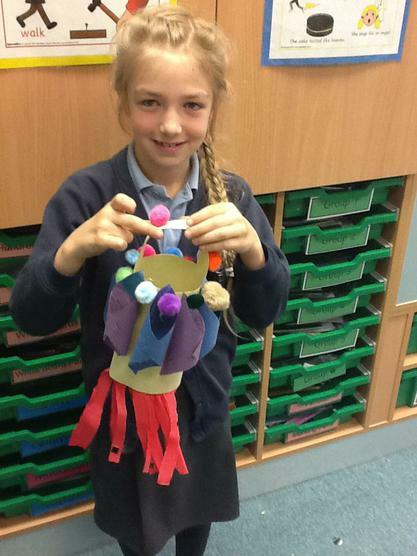 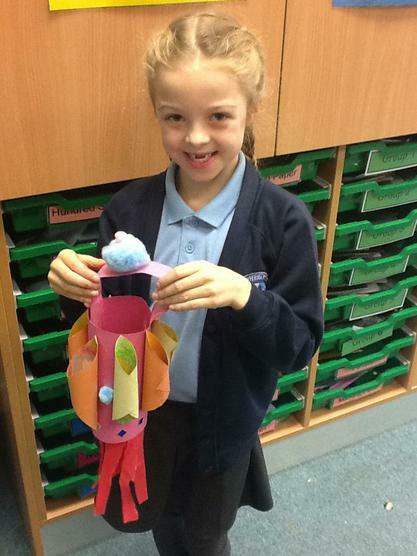 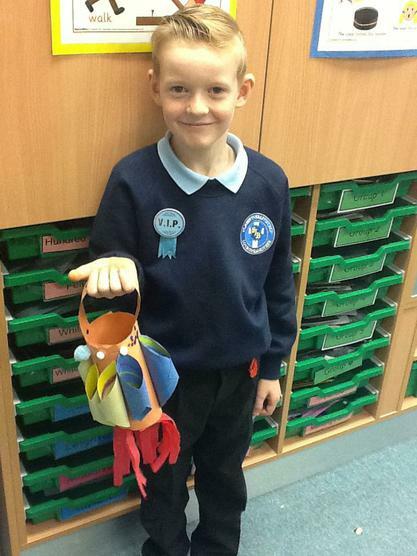 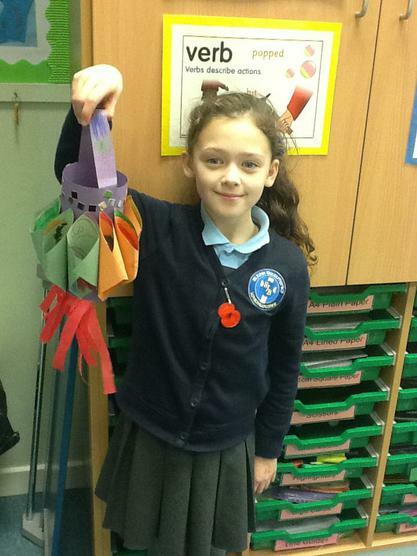 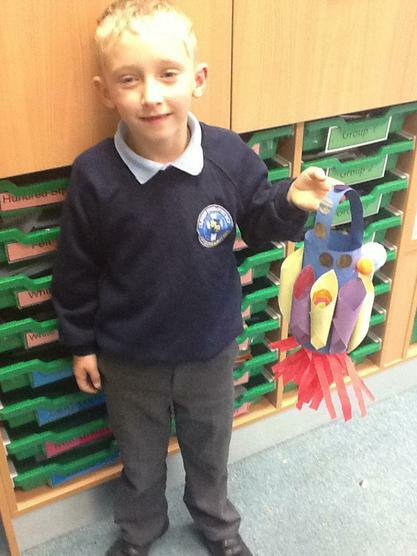 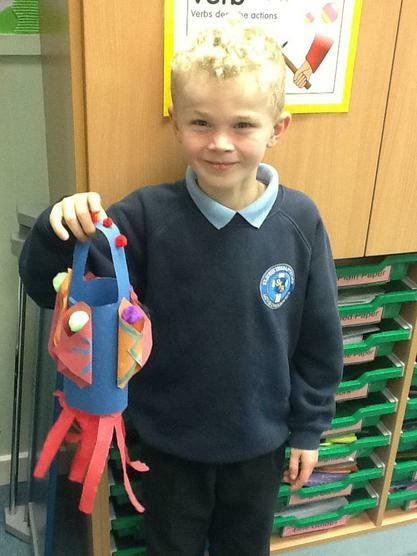 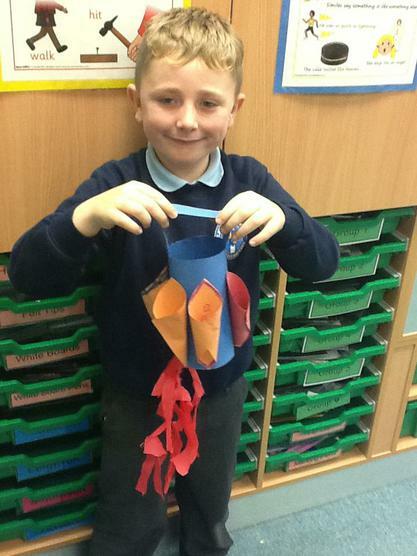 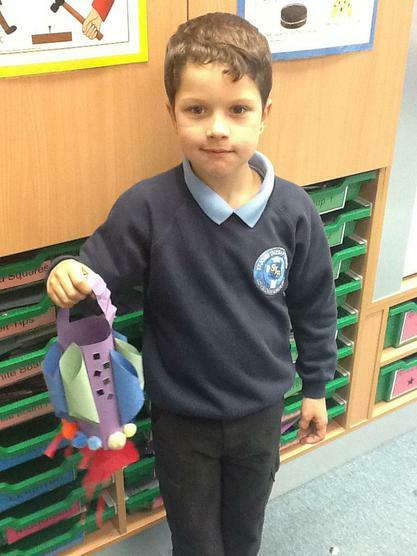 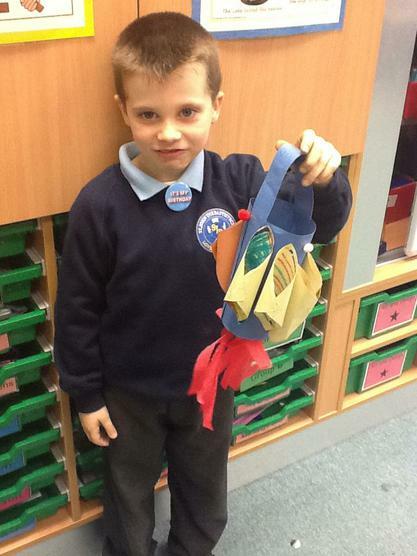 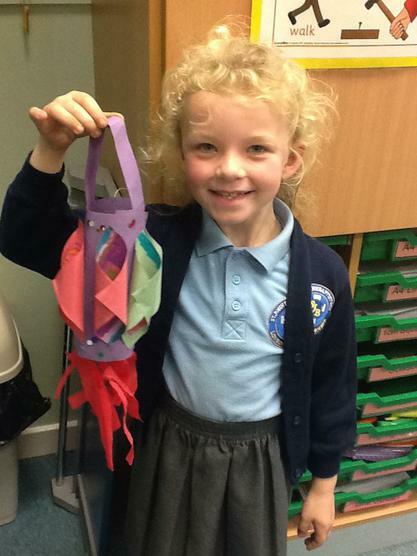 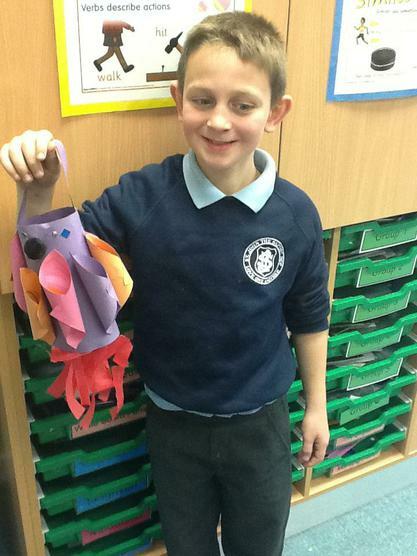 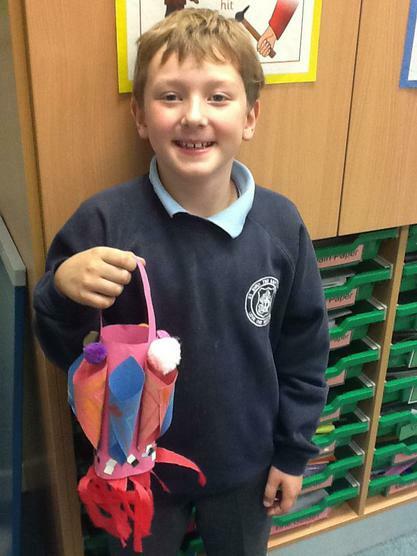 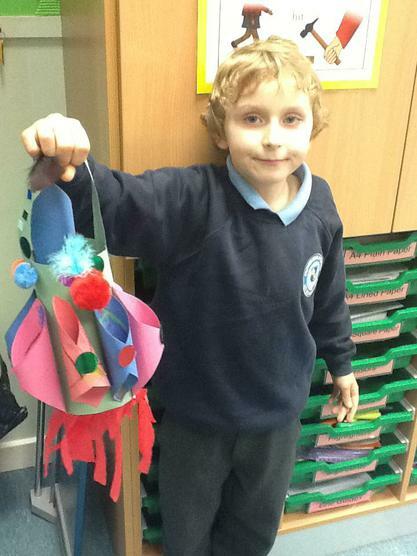 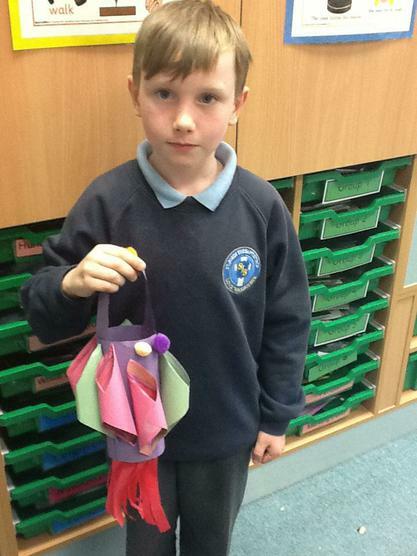 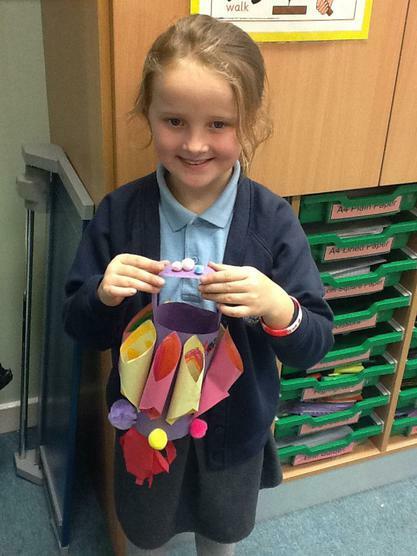 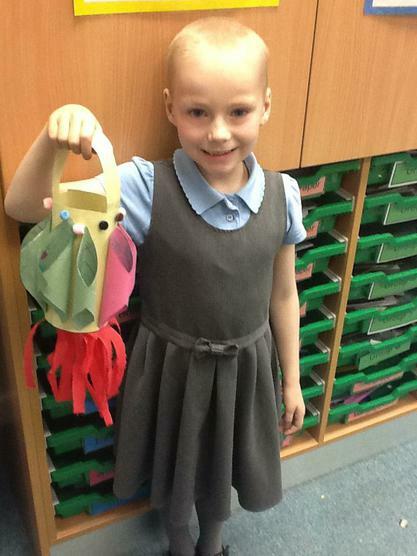 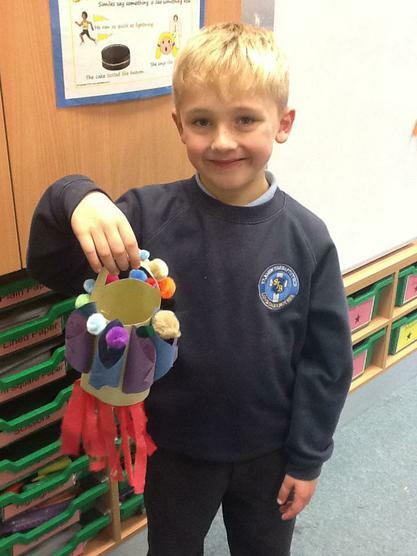 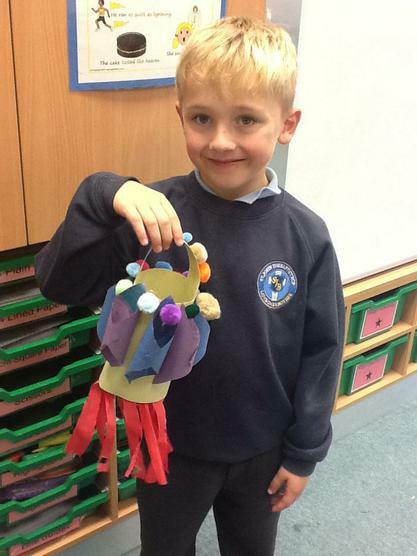 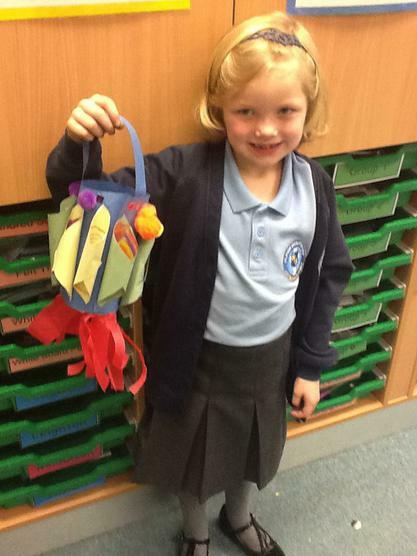 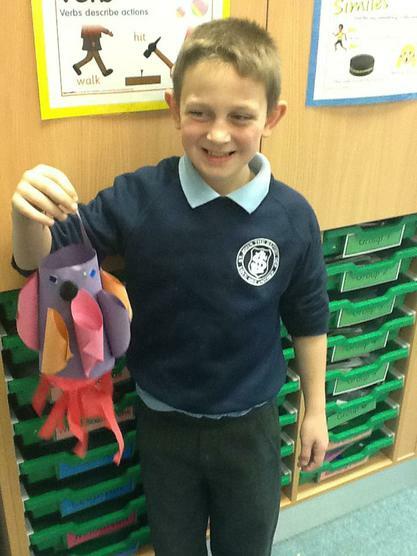 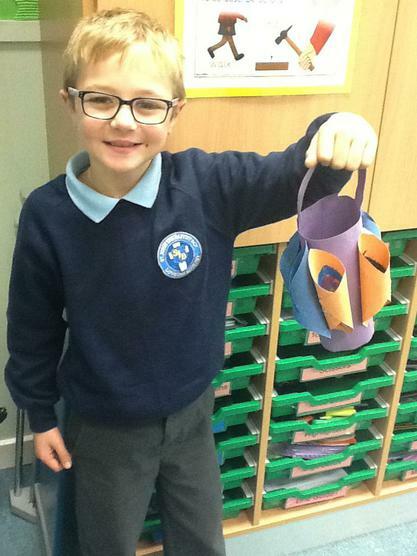 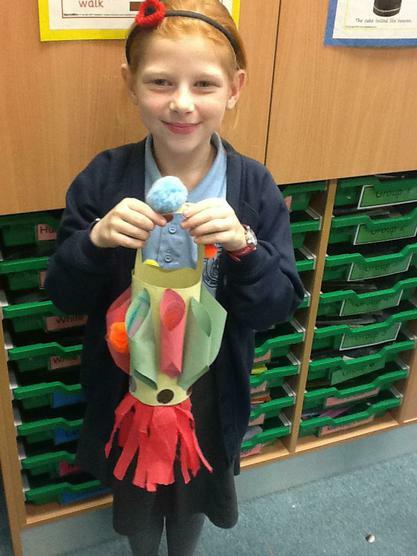 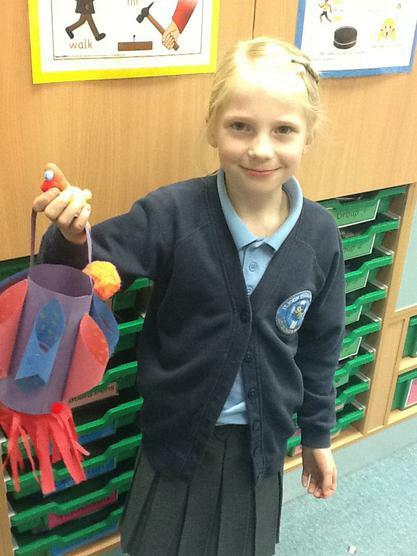 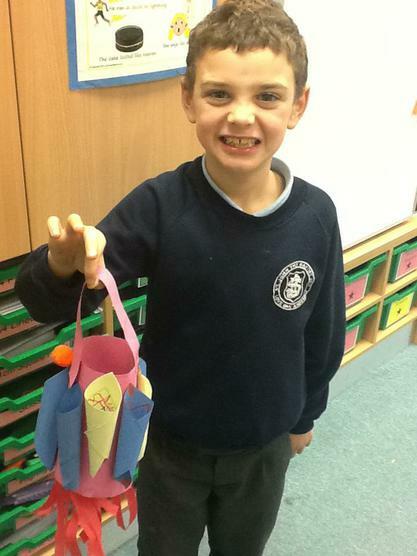 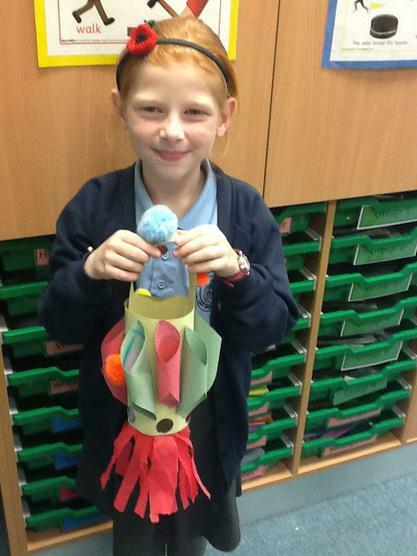 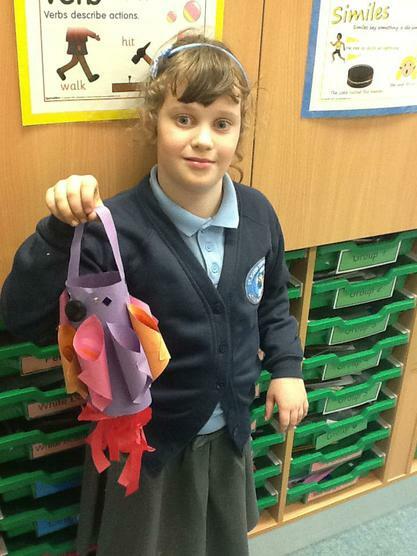 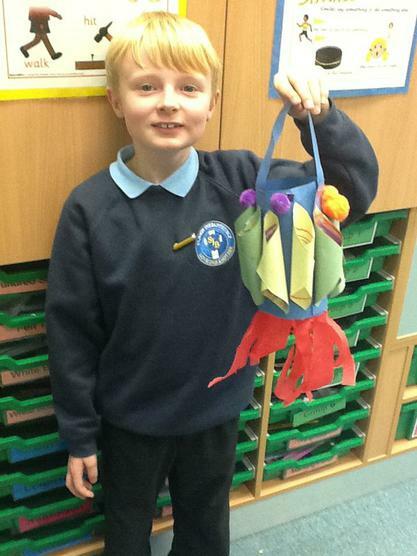 In our 'Creative Arts' week, Year 3 made Diwali lanterns to celebrate this festival of light. 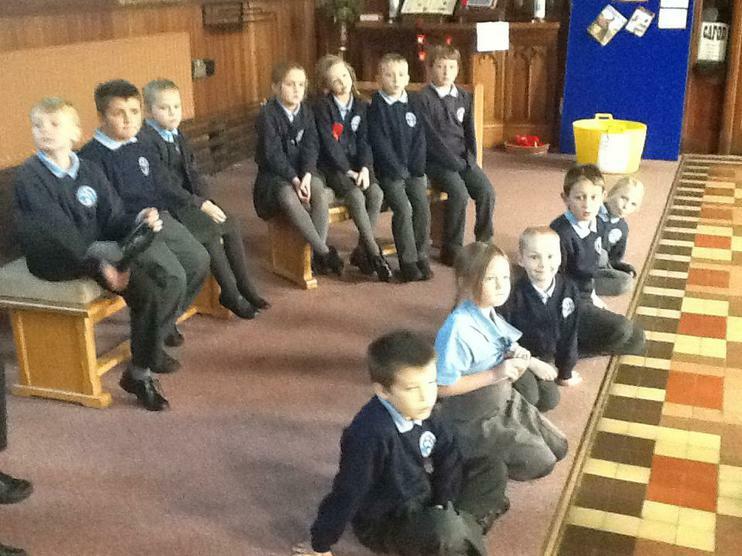 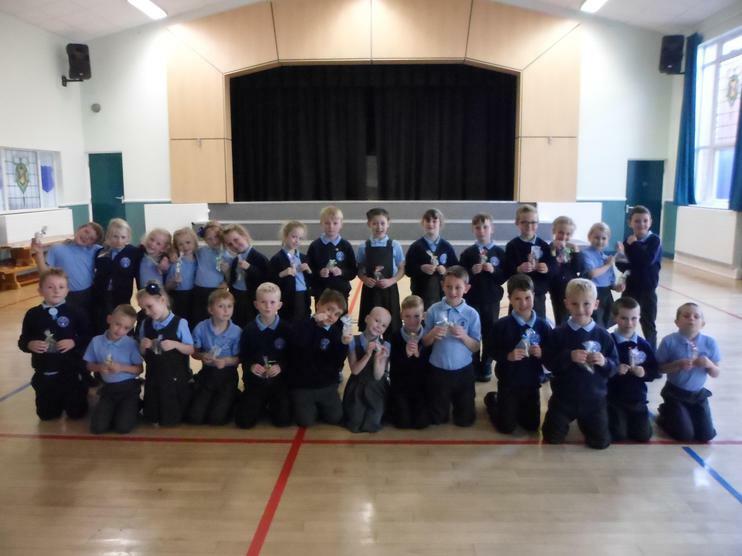 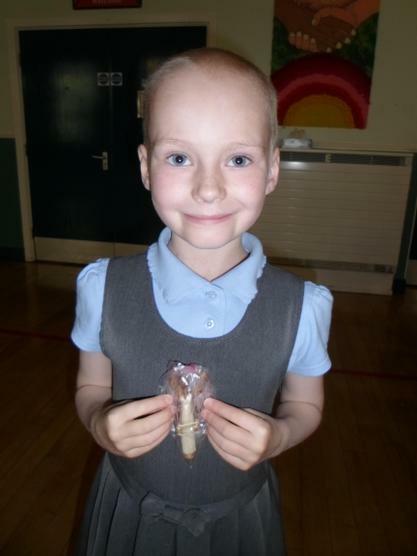 Looking very proud to have learnt our dance with our twinned angels for Mama Margaret's! 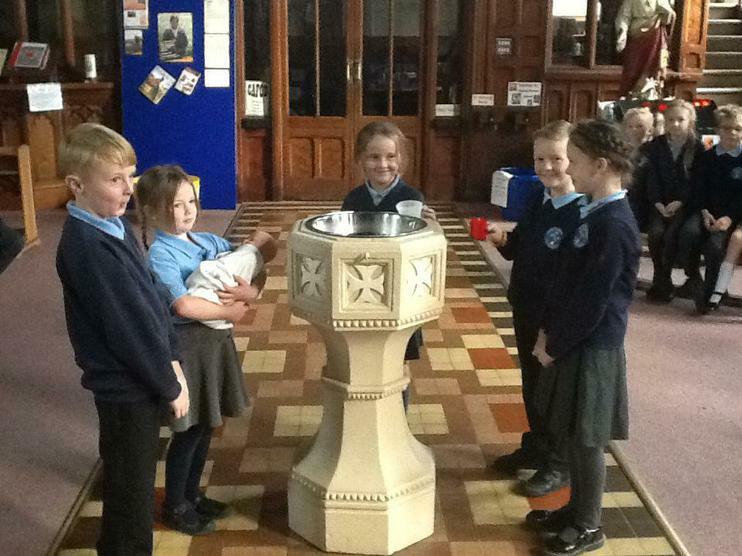 Angels twinned and bringing power to the powerless! 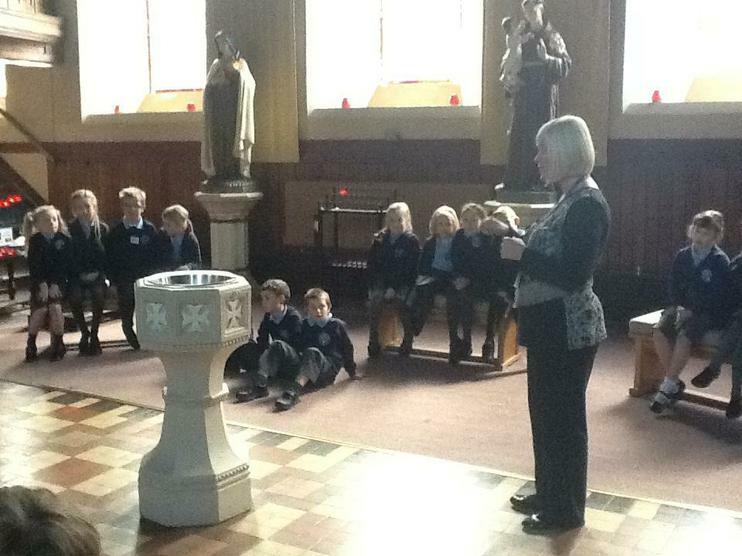 Year 3 loved hearing about Mama Margaret's. 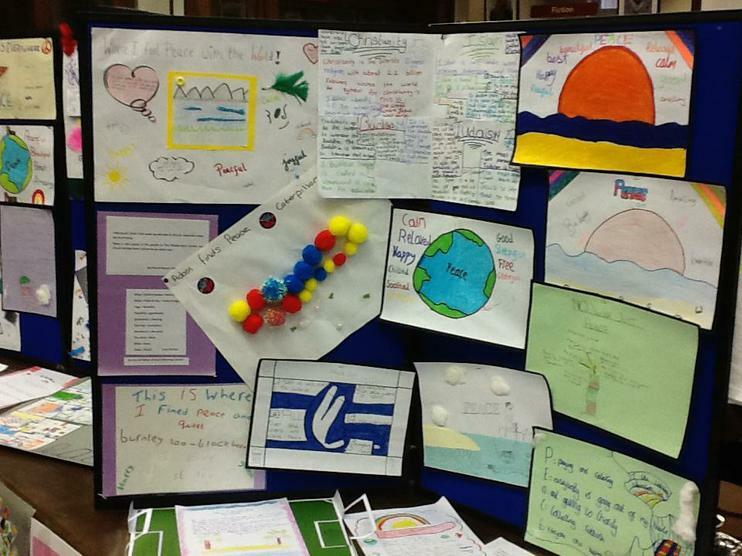 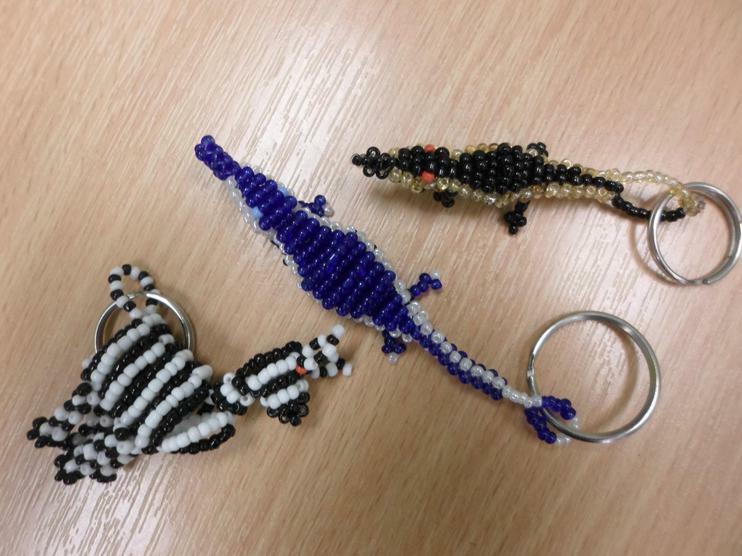 They showed a good understanding of the intention behind the projects and are very keen to get involved! 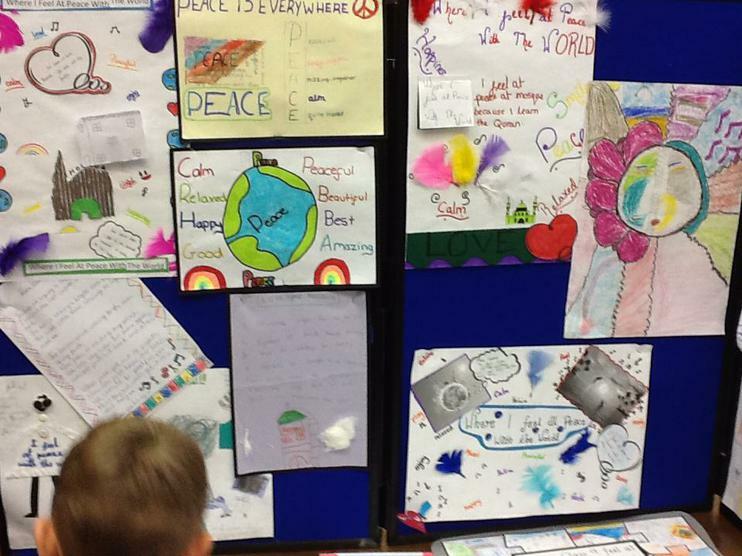 Here are the beautiful recipes that the children created for 'The Ideal Family'. 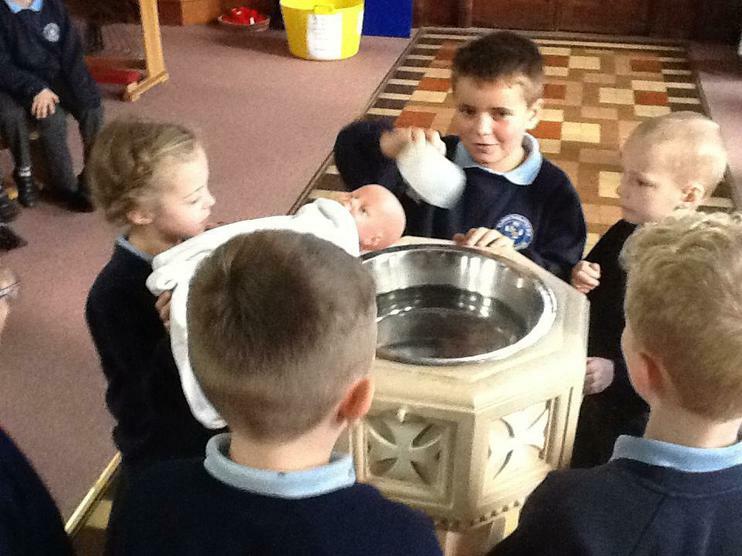 The recipes included all the qualities as to what God envisions for every family. 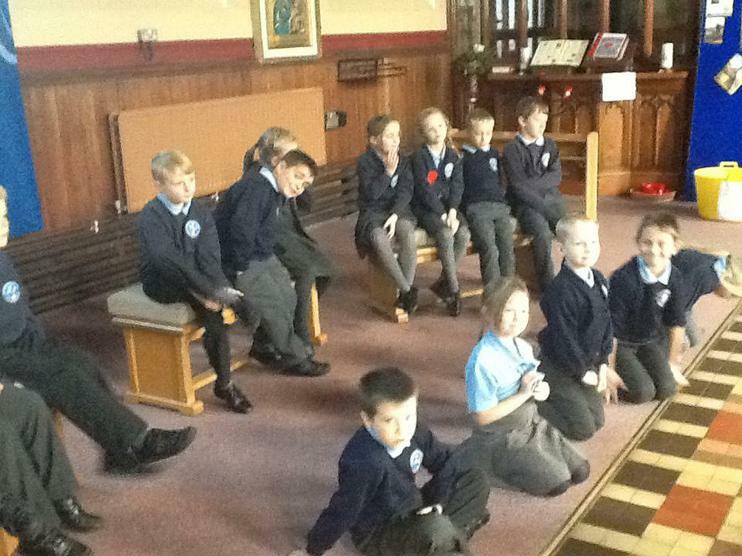 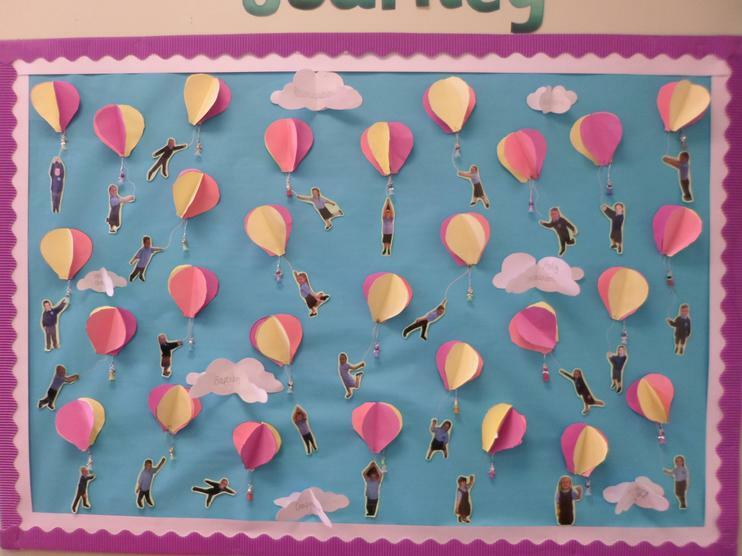 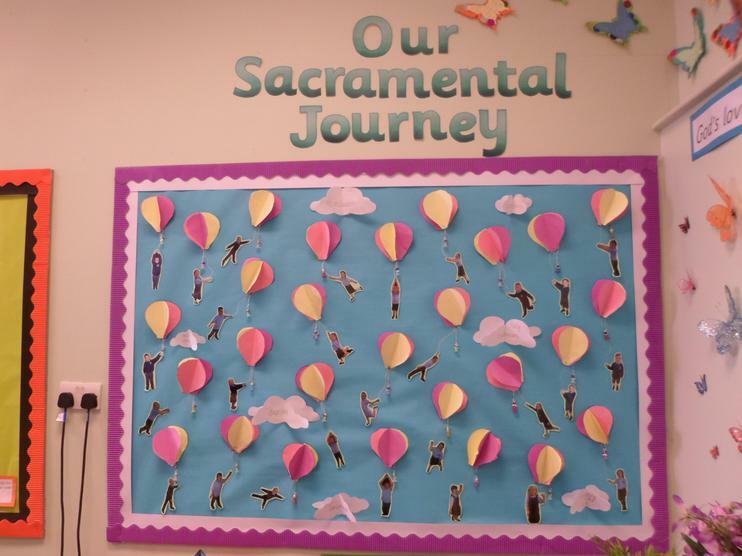 Year 3 are preparing to fly through their Sacramental Year with their angels by their side.